Welcome Time Travelers! Now get your own Time Circuits Box! 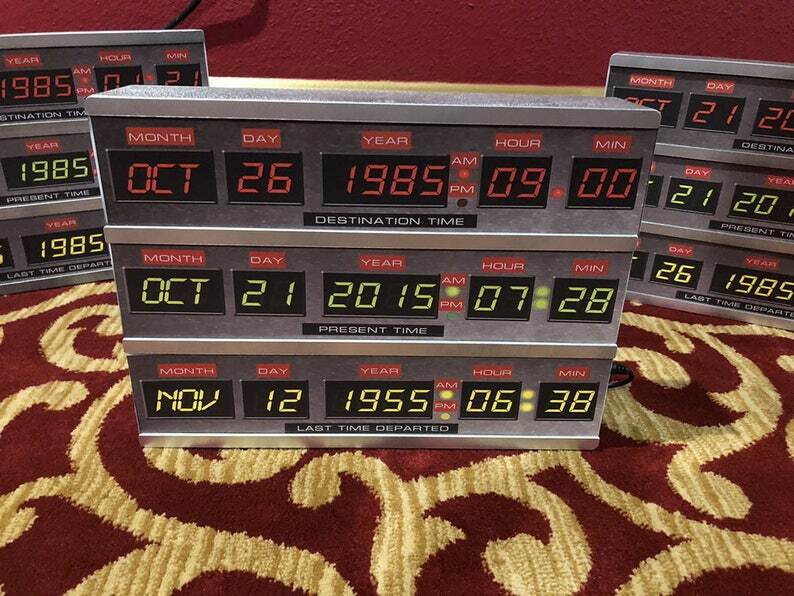 Now you can easily add an affordable time circuits box to your delorean, man cave, movie prop collection and more! Ready to hang on the wall or mount in your car! If you need custom dates, simply choose TC Custom option and in the NOTES when you purchase, lets us know your 3 DATES/TIMES you want in the order ,top , middle bottom. Custom dates are $12.50 extra. No refunds on custom props such as this. Thank you. Got this for my anniversary with significant dates and married on 1.21 (Gigawatts). Seller is awesome. Responds and works quickly. Awesome little gift. Tried to upload a picture like 8 times and won’t do it, but it looks awesome. This turned out so much better than I imagined. I cant wait to give this to my husband for Christmas. He's going to flip! The seller was super quick with replies and very helpful. The package was shipped and arrived really fast as well. I will definitely be ordering again! Dear Luis, It is sad that you have to put in a bad review because you believe that for $50 you are entitled to a $1000 prop? You even read the description and looked at all the photos. We deliver high quality props at the lowest prices. If you were unhappy, you could have simply contacted us and we would have worked something out for you to make you a happy customer. We wish you the best of luck in the future and will continue to make the best affordable props!